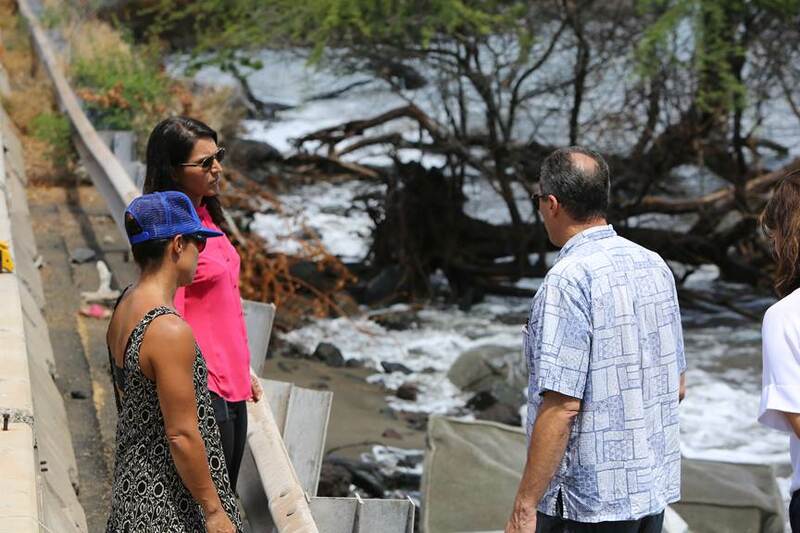 Congresswoman Tulsi Gabbard toured sections of Honoapiʻilani Highway in West Maui near Olowalu Reef Thursday to assess deteriorating conditions due to rising sea levels and erosion. The highway is the only road in and out of West Maui, an area that is home to thousands of residents and Maui’s largest tourist population. It is subject to frequent road closures due to car accidents, storms, high tides and fires. 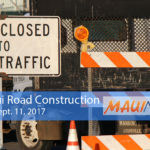 The congresswoman discussed the state of the highway with the Maui Tomorrow Foundation and other community stakeholders. She also talked about solutions to maintain access, protect the shoreline, and keep residents safe going forward. 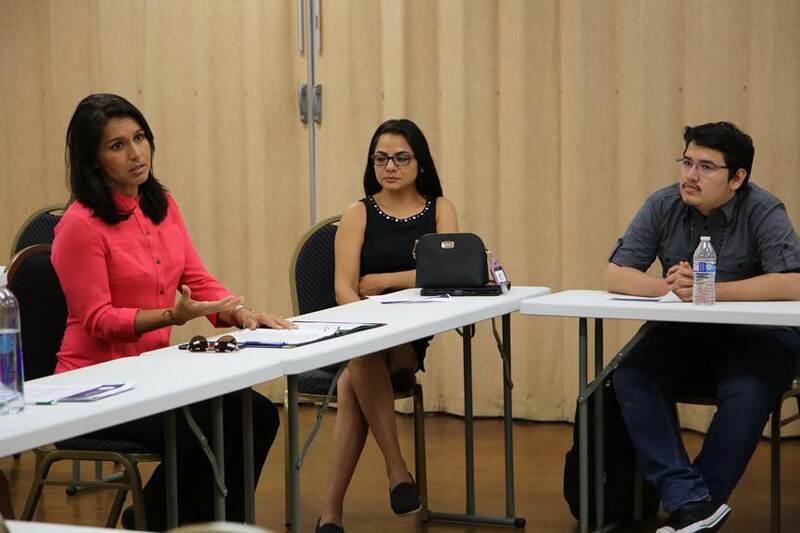 Later in the afternoon, the congresswoman met with a group of Maui residents who are recipients of Deferred Action for Childhood Arrivals. The program, initiated under Executive Order by President Obama in 2012, allows undocumented individuals who came to the United States as children and meet several guidelines to receive a renewable two-year period of “deferred action” or protection from deportation. 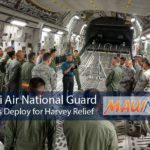 Recent reports indicate that the program could be phased out by President Trump in the coming days. Members of the roundtable shared how DACA has empowered them to get their education, work, get a drivers’ license and social security number, and more. They also shared their reality of living in fear before DACA came into existence. The congresswoman also provided the group with an update on legislation she’s working on at the federal level to protect DACA recipients. 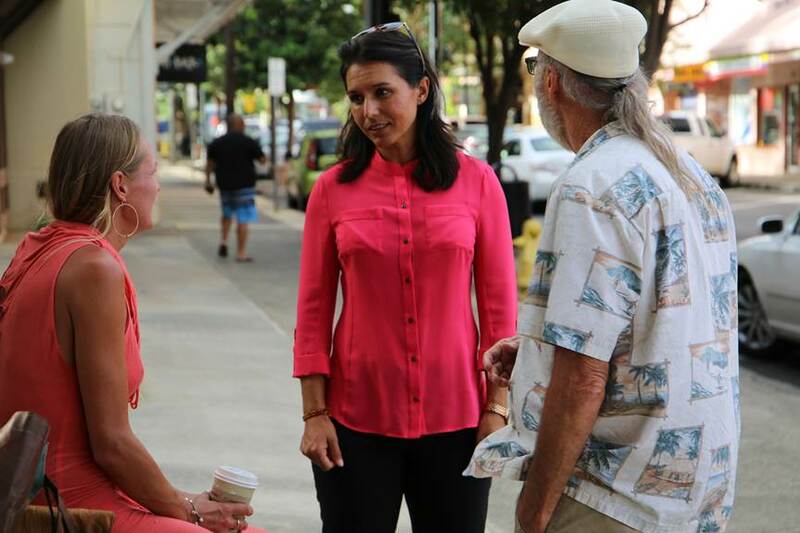 Following the roundtable, the congresswoman visited with local businesses in Wailuku and Kahului, and hosted a “pop-up” Congress on Your Corner outside of Wailuku Coffee Company to talk story with local residents and businesses. 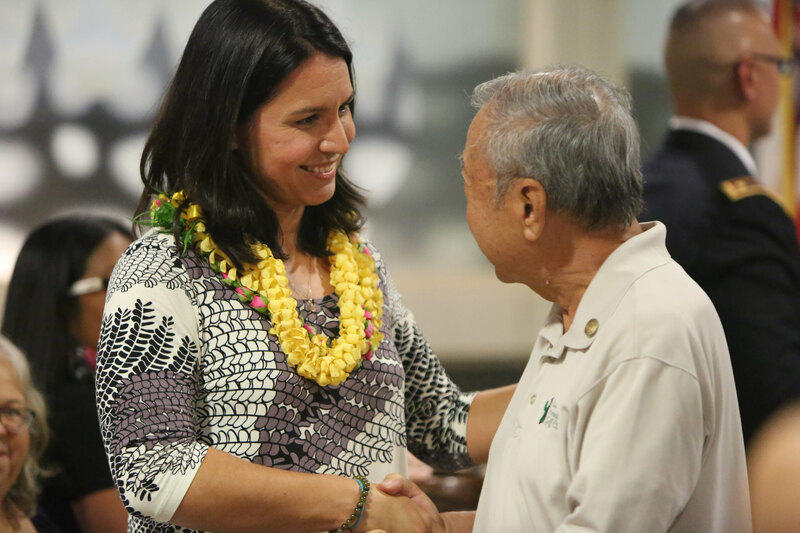 She will host another Congress on Your Corner on Friday at 2:30 p.m. at Waialua District Park on Oʻahu’s North Shore. 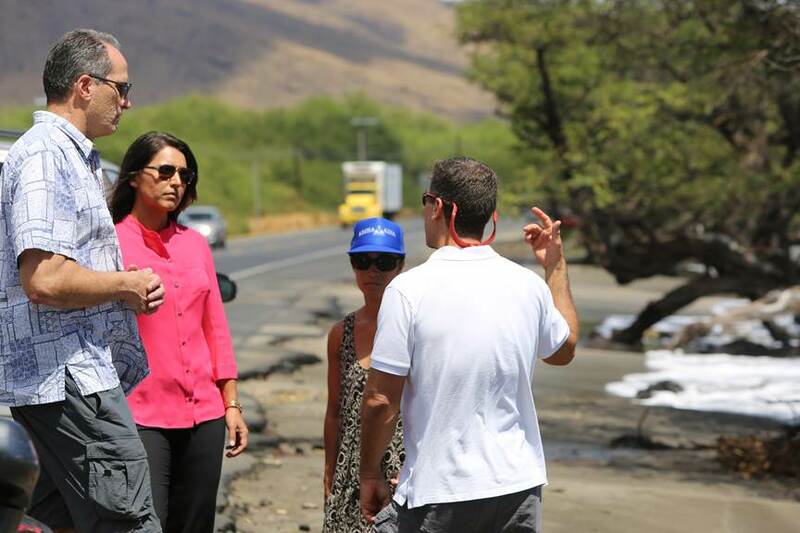 Congresswoman Tulsi Gabbard toured sections of Honoapiʻilani Highway in West Maui near Olowalu Reef that are deteriorating due to rising sea levels and erosion. 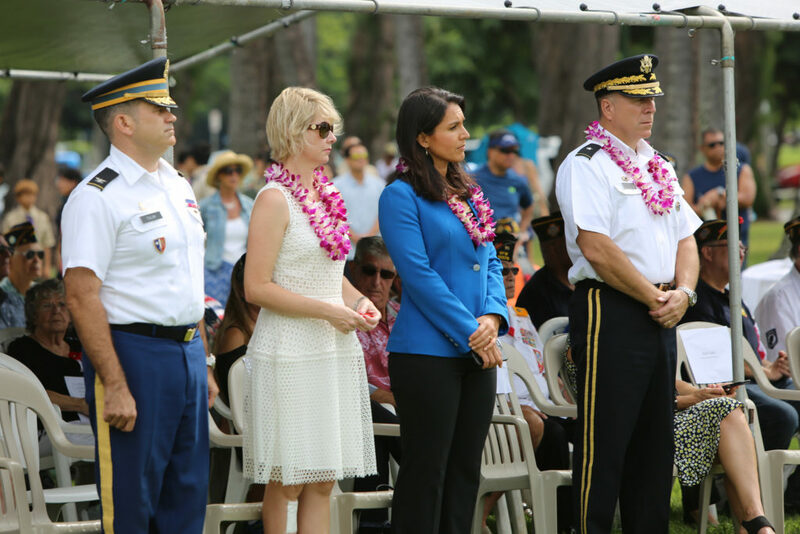 PC: Office of Rep. Tulsi Gabbard. 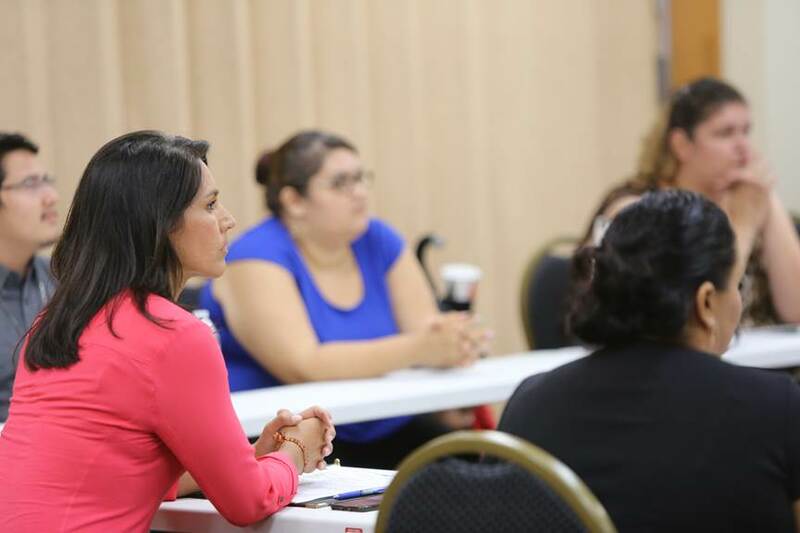 Rep. Gabbard met with a group of Maui residents who are recipients of Deferred Action for Childhood Arrivals program. 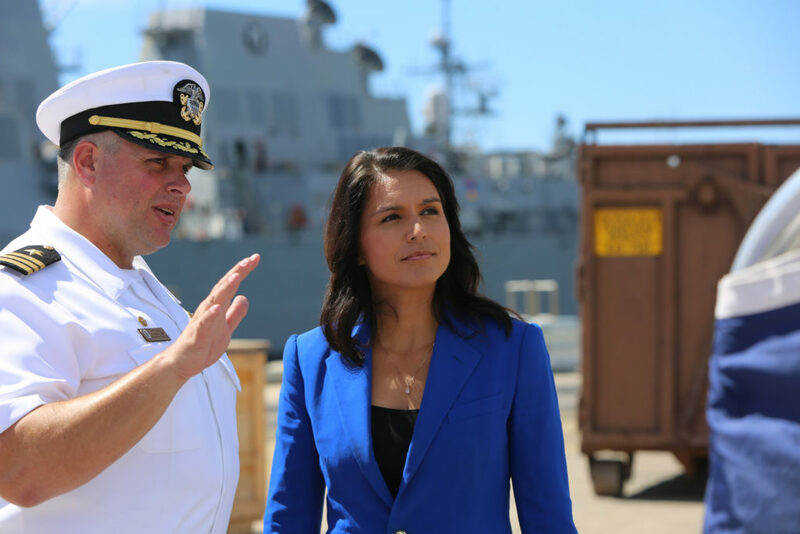 PC: Office of Rep. Tulsi Gabbard. 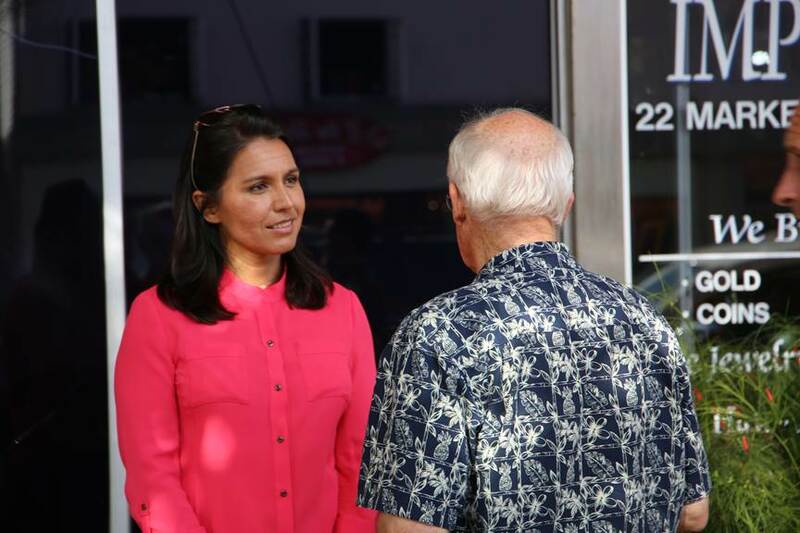 Rep. Gabbard hosted a “pop-up” Congress on Your Corner outside of Wailuku Coffee Company to talk story with local residents and businesses. PC: Office of Rep. Tulsi Gabbard.